TORONTO, Nov. 19, 2015 /CNW/ - Tangerine is proud to announce that it has been named one of Canada's 10 Most Admired Corporate Cultures of 2015 by Waterstone Human Capital. The annual program, started by the executive recruiting firm 12 years ago, recognizes Canadian organizations for having strong corporate cultures that positively contribute to the bottom line. 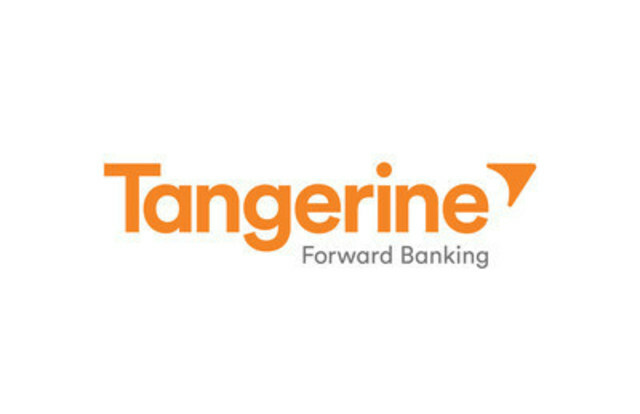 Tangerine was one of 600 Canadian organizations across four categories nominated for the program. Winners were selected based on detailed submissions and nominee interviews. This is the second time Tangerine has won Canada's 10, having been named a winner in 2011 as ING DIRECT. This win follows the recent launch of Weology, a leadership book written by Tangerine's President and CEO, Peter Aceto that quickly became a Globe and Mail bestseller. The book details "weology" as a business philosophy that reveals how everybody wins when "we" comes before "me." It is this exact people-first approach that has shaped the unwavering success of Tangerine's corporate culture throughout the company's transformational history. "At Tangerine we have a culture that's built on transparency and trust; one that allows our teams to deliver and individuals to thrive," says Aceto. "We're honoured to be recognized by Waterstone for this unique culture that allows us to continually exceed our client's expectations while delivering real business results as we work towards our vision of becoming Canada's leading everyday bank." Tangerine's cultural values are defined by specific Promises (We Care, We Share, We Dare and We Deliver) that keep employees accountable to clients, shareholders, the community and each other. More information about how the Tangerine Promises are defined can be found here. "In our work at Waterstone, we partner with leaders of high-growth organizations to help them recruit for fit and provide counsel on human capital issues to drive performance," said Marty Parker, President and Chief Executive Officer of Waterstone Human Capital and Chair of Canada's 10 Most Admired Corporate Cultures™. "What's so impressive about this diverse list of 2015 winners is their shared belief that culture is their competitive advantage – they know that building and sustaining a great culture is a significant asset that drives performance. The 2015 winning organizations have shown diverse strategies in achieving inspirational cultures that have measureable results. " Waterstone Human Capital is a leading retained executive search firm specializing in recruiting for fit and cultural talent management for entrepreneurial-minded, high-growth organizations across North America. The Canada's 10 Most Admired Corporate Cultures and Canada's Most Admired CEO™ programs (http://canadasmostadmired.com) are founded and presented by Waterstone Human Capital. These national programs, annually recognize best-in-class Canadian organizations and CEOs for fostering cultures that enhance performance and sustain a competitive advantage. Program winners will be celebrated at the annual Canada's Most Admired Summit and Gala, to be held on Thursday, February 25th, 2016 at the Fairmont Royal York in Toronto (100 Front St W). This national program, now in its 11th year, annually recognizes best-in-class Canadian organizations for having cultures that enhance performance and sustain a competitive advantage. Forty winners are annually chosen across four categories; three are based on revenue (growth and small cap, mid-market and enterprise) and one not-for-profit category (broader public sector). Organization's submissions are scored on 6 categories: vision and leadership, recruitment and hiring for fit, cultural alignment and measurement, retention, rewards and recognition, organizational performance and corporate social responsibility. The Canada's 10 Most Admired Corporate Cultures program creates a benchmark of success for all those who are nominated.